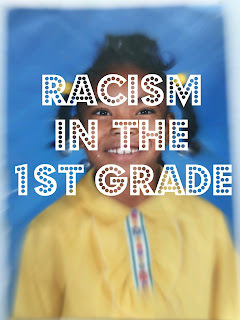 The first time I was called the N-word I was 6 years old in the first grade. I was a student at Campo Elementary School in Mrs. Lyons class. She was the best. In her class we cast votes to see who would win the 1992 Presidential race, Bush or Clinton. I was so happy I picked the right guy. I remember coming in that morning she had our class tallies on the board. Those who picked Bush were far greater than those who picked Clinton. She quieted us all down and we listened over the intercom as the principal announced the winner. Something in me leaped. I guessed right! I had some fun times in her class. My mom loved Mrs. Lyons arts and crafts projects; I remember my mom kept the gold painted pine cone wreaths I made for many years. To be honest we just lined up the pine cones, Mrs. Lyons hot glued them and spray painted. They were pretty dope though. However along with the high times there were some low times. I still remember the day like it was yesterday although the names are quite fuzzy. All I know is I had a best friend in 1st grade who's name escapes me now. We were inseparable. We sat near each other in class and hung out on the playground. I also had a crush on him but would never admit it. In fact I was playing match matcher. My best friend ironically had a crush on the other Amber in our class. Her name I do remember. I would give him advice on how to go to talk to her. I remember I told him to buy her Lisa Frank stuff to show how much he really cared. Who didn't like Lisa Frank? Anyway this one morning during recess we're on the blacktop watching Amber on the monkey bars plotting my friend's big move when his big brother (a 6th grader) intrudes on our conversation with his 3 friends. They immediately start to tease him for hanging out with me. They say that he likes me and immediately my friend says "Gross! No way she's just my friend." Then they start to say he likes a dark girl. Then they start to say I'm an n-word and he's an n-word lover. I was so confused. I didn't really know what the word meant at the time but it hurt my feelings so much. I wanted to tell my friend's brother that we were just friends but the words wouldn't come out. I wanted to say we were trying to figure how he can tell the other Amber that he liked her but I don't think they would listen. The fact is my friend got so mad he stormed off into the classroom upset. To be honest I don't know what I did in the moment. However later I do remember shedding hot tears at my desk and doing my best to mask my pain from my friends. Why did that word hurt so much? What did it mean? These were all questions swarming around my little head. It wasn't until I was 7 years old in the 2nd grade that I found out what that word meant. I came home from school one day and asked my dad about culture. We were studying cultures in class and our teacher said that you define a people group or culture by the food, customs and beliefs. I just remember leaving school feeling so empty. All my friends could say that they were Polish, French, Mexican, German, etc and they knew their food, customs and beliefs. I felt so left out. So when I asked my dad I'm like is soul food our food and what are our customs? Are we African? Are we American? Where are we from? He explained that we were American. Soul Food and the other American food was our food. I wasn't pleased with the answer but I accepted it. Somewhere in the conversation I asked him about the N-word. He immediately was jovial and said that's what we call one another as a term of endearment but don't let anyone call you that. If they do well then you have permission to fight them. This was the only time I was given permission to fight otherwise my Dad's motto was "You don't start fights you finish them." Needless to say I got into a lot of fights in elementary. As I was thanking my Dad for the talk, I said something to the affect “Alright my n-word” which didn't sit well with him. I got a whole other lecture after that. You can imagine how confused I was after that. I guessed the n-word shouldn't be used period. I share this story for those who may relate and for those who may not be aware. 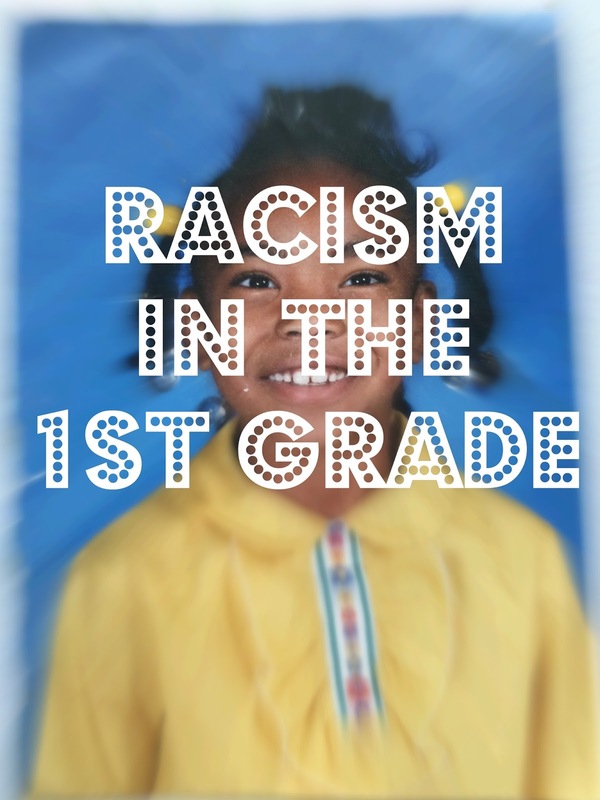 Kids can be mean but I honestly believe racism and discrimination are taught. Those 6th graders didn't learn that terminology on their own or its use. It's unfortunate but that wasn't the last time I was called the n-word. I think if I had understood what that word meant prior to being called it, I probably would have been more wounded. Those are my thoughts but of course I can't know for sure. First and foremost above any other label I consider myself a child of God. That's how I see myself that's my default association, before calling me a woman, Black or African-American, a wife, a daughter, a sister or a friend. I call myself a child of God. It wasn't always this way. In fact I went 19 years referring to myself as a black girl or black young woman but when I accepted Christ into my life I acknowledged that I was mind, body, soul and spirit. This shell of a body I was in was not who I was or what I was but merely the vessel I was placed into to maneuver through life. I know that probably sounds wacky but I believe it to my core. Now don't get me wrong I'm not marking “other” on legal documents and filling in "Child of God" as my race or ethnicity. I'm just saying that's how I see myself. Trust me I know that I am a woman and that I am Black. That's just not who I am if that makes sense. I have wanted to share that story for a while now and I'm curious to know yours. Please share your thoughts and feedback below in the comments and as always thanks for reading.